We gave our art area a little refresh today. I think there was only one thing we added however we removed a lot of materials. It's way too easy to keep on adding new materials and then bam, the area is all cluttered up. Order is important to us but this is also an area where we want the children to express themselves creatively and develop their abilities. We have three basic areas based on the materials my children use the most. Sculpture (top left) including terracotta clay, FIMO and sculpting tools. Painting (left middle shelf) including poster paints, water colour liquids, dot markers, tempera paint and water colour palette. We have lots of paper available, we have water colour paper on the left bottom shelf and lots of paper in the trays on the right shelf. We also have a wood working tub on the left shelves at the very bottom. The right shelf is Collaging. I was recently asked how we store our collaging paper. It's all generally in the three containers on the bottom right corner. The paper tray always has lots of A4 and A5 white and coloured paper. The two clear containers on top have bits and pieces in them. Kite paper, transparent paper, adhesive metallic paper, colour diffusing paper, textured card, heavy card, foils and shapes. If Otis is cutting out something specific for collaging he will keep it in a seperate basket. My boys are also really into doing sculptures and all sorts of creations with paddle pop sticks (including catapults) and wire. I try to think about the work flow of each activity. What materials do the children need. If they need something like water, they can access it themselves. Mostly, I want to ensure there is enough things like paper, paint, glue and always scissors so that they can work without frustration or breaking a creative streak to have to go looking for something. To the right of the shelves is our table top easel and three baskets all full of recyclables for large scale construction, mostly bits and pieces from our local Reverse Garbage centre. I hope you have enjoyed a peek into this corner of our home! Have a great weekend! Intrinsic motivation is a prompt to action that comes from within the individual; a drive to action that is rewarded by doing the activity itself, rather than deriving some external reward from it. The concept of intrinsic motivation is fundamental to the Montessori philosophy. It is much talked about in the classroom but what about in the home? Some of these will not work for all children and in all homes, hopefully it will still be useful and give you (and me) a few ideas! Create a supportive environment. Yes to encouragement and trust. No to criticism, judgements and critiques. Children should feel free to fail, we often learn more from our failures than our successes. Set clear and achievable expectations, so that children can meet our expectations and feel a sense of accomplishment and self satisfaction. Our expectations should not be unattainable. Make tasks achievable, with a defined end and outcome. Provide opportunities for children to build skills and build confidence. Give them the opportunity to use these skills. Set the child up for success! Our actions are often based on our beliefs, we need believe we can do a task. Children need to believe in themselves. Eliminate extrinsic motivations as such punishments and rewards. Children can become dependent on them, then in turn parents become accustomed to them and rely on them. Share accomplishments and struggles with each other. Allow children to share their highs and lows, their progress and all the steps along the way. Remember the key isn't about what you learn but about how you learn. Allow children to see their successes or improvements over time. Show them how they have improved, how far they have come, "Remember last time you couldn't reach that bar/go that far..."
Allow the child to see the impact and value of their work. Community service or helping friends are really good examples where children can feel and see how their work has impacted others. Autonomy. Allow the child to have as much choice as possible. This increases the responsibility and commitment they have towards the task/project. If it has been by their choice they will be more committed to it personally and take personal responsibility to see it to the end, to do the best they can. Allow the child to set their own goals and rules (where possible), children then become accountable to themselves. Give genuine, accurate and authentic feedback. Be curious and passionate about learning yourself, seek to learn and do new things, role model enjoying the journey, not just the outcome. Work together or in group to achieve a common goal. This can be as simple as working on a project as a family, where everyone has a role. We can feel valued when working in a team and feel a sense of achievement when as a group we achieve our purpose. Children can feel like they have contributed to something greater than themselves. Otis is often intrinsically motivated to bake, he feels confident and capable, he has purpose, he chooses the activity, he wants to do the activity, he is committed and he wants to see (and taste) the results (perhaps that is an external reward too)! Just because it's rainy and it's the school holidays! Our top ten board (and other) games for children four to five years old! 10. The Secret Door (recommend from five years). P.S My eight year old will also play all of these! Notes to a Montessori Parent. Don't clutter up the children's spaces. Leave lots of open space and table space for the children to use. Keep desks free from distractions, give them space to move and space to create. Don't use the children's free and clean spaces as a dumping ground for other materials. Resist the urge to 'fix' the child's work, their work is good enough! Often when the children are cleaning, baking, making their beds, we may not be entirely happy with how they have done the job. Resist this urge, their work is good enough and if the blanket is wonky on the bed that is totally ok, accept it and get past it. If we continually fix their work we are sending them the message that their work is not good enough, that they are not good enough. Realise that your children don't always need your help or want your help. They may be struggling with their work but may not appreciate the offers of help. Often offers of help are a hinderance, if they don't ask for it and are not in harm, step back and wait. You may be surprised by what they can do. Trust others to know your children and accept their help. It's easy to think we are the only ones who know our children however there are other people in our life such as teachers and guides who know our children very well. Their views and opinions should be respected, they may offer greater insight into our children, that will benefit us all. They are able to see our children in a different light and in different situations. Don't be afraid of handmade and homemade. Don't be afraid of failure or less than perfect. Making things ourselves often from scratch sets a good example for our children and shows them what is possible. Embrace the mess that children make. Allow spaces to get messy if the kids are happy and working and creating. Order is important and clean up can happen afterwards, but we can be too uptight, let go and allow children to participate and create even if it gets a little crazy. Don't leave baking, gardening, sewing or working with children, whatever this means for you, for special occasions, as much as possible encourage it in the everyday. Be consistent. Children need consistency, they need to know what is expected of them. Changing the rules, or boundries makes it more difficult for children to meet expectations. Invest in more art and crafting materials and less toys. While toys and materials have their obvious benefits, often our children just need time to tinker, to create and make something of their own. Please feel free to add your own notes below! Imagine Our Life (you've probably seen this room before but I wanted to include it because it looks gorgeous). A Tangible Childhood. I love the simplicity here and the combination of Montessori learning resources (Movable Alphabet, Sandpaper Letters) along with free play materials (such as blocks). I would love to see a child work in this area. Montessori on the Double. 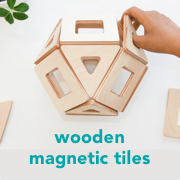 This is a leading Montessori blog, so if you haven't read it or seen some of their spaces before please click over, even more so if you have twins! Plants, books and plenty of table space! I also really love this space although it's not purely Montessori, and it is in a bedroom. I love the little shelves with so much variety on them and a little table and chair nearby. This room is really practical and has lots of personality, and some love. Everything has a place and pack up looks easy. From Version 5.0. This space appears to be for a family daycare (or similar), for multi-ages, and obviously space is limited at Betise, Malice, et Sorcefferie. What I see in this example is using existing shelving, perhaps just the bottom few shelves for materials for the children. And what do I need to say... this space is just so cozy. I love the overhead storage, lovely wide selection of materials, I believe the shelves are home made. Beautiful. From Eve here. I also recommend looking at Nicole's playroom from earlier in the year. Some of these rooms are more like homeschooling rooms and others are for a combination of work and play. 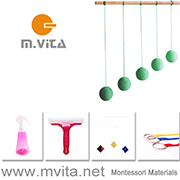 There are many Montessori playrooms around so I will try and put together another post soon. I have seen a lot of Montessori playrooms, especially this week. If you are wanting advice, my number one tip is to declutter, I often need to do this myself too, less is more!